Fiscal year 2018-19 will be a busy one for Mahindra and Mahindra. The tractor-to-utility vehicle conglomerate will be firing all cylinders. 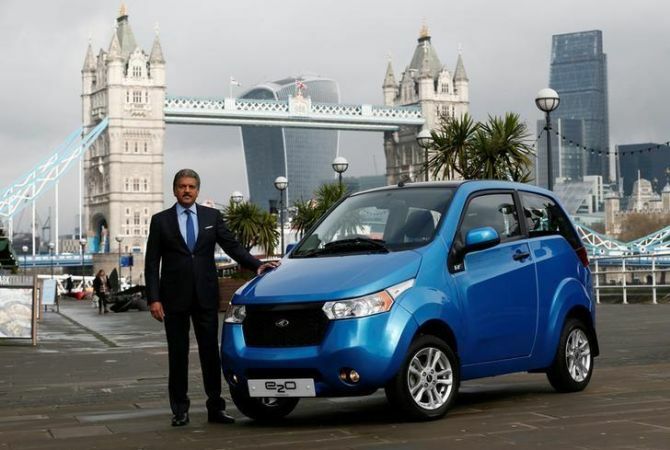 Whether it is protecting its turf in its core utility vehicle segment through new model launches, or stepping up investment in electric vehicles, the Anand Mahindra-led firm is leaving nothing to chance as it charts a strong comeback in a market where sudden changes in policy and buyer preference caught it off guard. Turning around the loss making heavy duty truck and bus segment and bracing up to meet stricter fuel emission norms, will also top its list of to-do-things as it enters the new year. Besides recouping some share in the competitive UV segment, the new model launches will make the company less vulnerable to competitive pressures as it plugs the gap in its line-up of models and replaces the old ones, Rajan Wadhera, president, automotive sector, M&M told Business Standard. The maker of Scorpio and XUV500 models plans to launch three new models in the utility vehicle segment in FY19. These include S201, a modified version of the SsangYong Tivoli that would be pitted against the Tata Nexon, Maruti Brezza, Hyundai Creta and Renault Duster, a multi-purpose vehicle codenamed U321 that will compete with the Toyota Innova and Maruti Ertiga and the G4 Rexton, a rebadged Rexton that will sell under Mahindra badging and compete with Toyota Fortuner and Ford Endeavour, the company said at an investor’s meet in Chennai last week. “All of these are well thought through products and we are very confident on them,” said Wadhera. 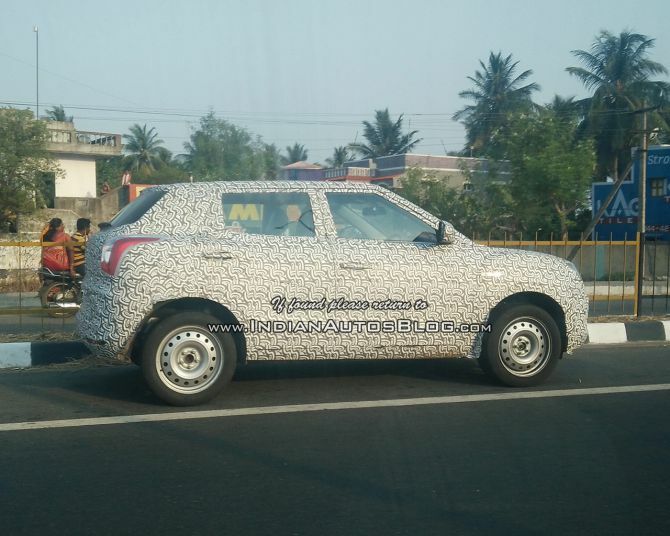 Image: The Mahindra S201 is based on the SsangYong Tivoli’s X100 platform. He said pointing out that every firm goes through a cycle - it develops products and launches it, then the competitors follow it. It keeps repeating itself till it reaches a position that the portfolio is complete and is only replacing models and doing better than the others by offering a better value proposition, he said. Even as Mahindra’s volumes have been growing, its market share has been under pressure. It was overtaken by Maruti Suzuki India in the first eleven months of the current year which cornered 27.82 per cent during the period as against 25.21 per cent of M&M’s which is likely to lose its pole position to the Suzuki subsidiary by end of FY18, that has been riding high on back of its Brezza compact SUV. On the other hand, response to Mahindra’s KUV 1OO and TUV 3OO has been tepid. But Wadhera is not excessively concerned with the market share loss and maintains that the market share is purely a function of the number of players in a particular segment and the industry’s growth. “If the number of players double, obviously the market share will drop. Fortunately, while our market share has dropped our volumes continue to grow,” he said. The only way to protect your market share is launch new models and the three new launches in FY 19 bears testimony to the same, he said. Analysts are optimistic. “We expect a revival in market share in the UV segment to be the upside trigger for the stock. "A slower recovery in tractor or UV volumes than we currently expect, or a sharp rise in input costs, are the main downside risks to our estimates,” wrote Aniket Mhatre and Anish Rankawat, analysts at Haitong International Research in a 19 March report. 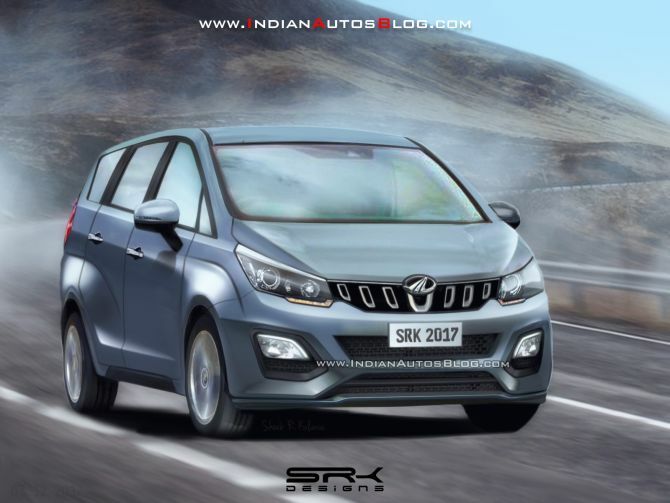 Image: The Mahindra U321 will arrive as the company’s first MPV with a monocoque construction. All the new models will have both diesel and petrol engine option. As part of a plan to reduce dependence on diesel engines, Mahindra plans to introduce new family of gasoline engines and it is on track to achieve BS6 compliance by 2020 at a lower-than-expected cost due to localisation and cost reduction efforts. Meanwhile, Mahindra has also outlined an additional investment of ~9 billion over the next three to five years towards developing electric vehicles and expanding its existing capacity. These would comprise of a combination of seven high and low voltage offerings including a low- voltage electric three-wheeler, an electric version of the KUV and a high voltage SUV, sedan and two electric buses. While Mahindra will have to work on fuel efficiency improvement, light-weighting etc, aerodynamics etc, Electric Vehicle technology will help all the companies in a very big way to meet the corporate average fuel emission (CAFÉ) norms of 2022, Wadhera said. Encouraged by the recent surge in volumes, Mahindra hopes the heavy-duty truck and bus division that has been in the red since the company entered the segment a decade back will be able to achieve EBITDA (earnings before interest tax, depreciation and amortisation) level by end of FY19. It envisages concluding the financial year with record sales of 10,000 units by fiscal end, the highest since the company entered the heavy duty segment a decade ago and envisages 12,000 units in FY19, said Wadhera. “If the discounts in the market stops today, we will make money. While for others, it’s part of the costs, for us it’s not yet part of the cost,” he added. Mahantesh Sabarad, head-retail research at SBI Cap Securities said while the new launches will help the company in recovering some lost ground, Mahindra is unlikely to get back to a 40 per cent plus market share levels owing to an increased competitive intensity. It therefore, needs to de-risk itself and have a substantial portion of sales coming from outside India - either through increased exports or a manufacturing base outside India. “All the acquisitions they have done in the past decade need to come together to take the company to the next level,” said Sabarad.